Welcome to our Preschool Ministry of Central Baptist Church in Winchester, KY. We are excited that you have decided to investigate and learn about our preschool program. Our Preschool Ministry is vital to a child’s spiritual, emotional, and physical development. Our church is committed to partner with the parents of the children to provide an educational and nurturing Christian environment. 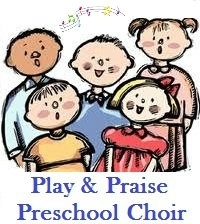 We believe that preschoolers begin to learn about God and His love from us from their very first years of life. Together, we will provide the foundation that will help your child develop and grow in their relationship with God. Jesus knew how important the early childhood years are to spiritual formation. Jesus said in Mark 10:14, "Let the little children come to me, and do not hinder them, for the kingdom of God belongs to such as these." Jesus welcomed the children, and we are dedicated to welcoming and loving your child. We know that you will find the Preschool Ministry to be staffed with warm, caring adults who will love and teach your child about a loving and caring Savior. If you have any questions, please feel free to contact me through the church.